I have read Genesis 40 for about an hour. As I have read it repeatedly I have been looking for key phrases and looking for what might be the Big Idea. The text lays out the progression of Joseph’s experience in prison. He is joined by the baker and the cup-bearer of Pharaoh. The text emphasizes Pharaoh’s extreme anger or displeasure with them. Both the new prisoners experience dreams which trouble them. The subject of dreams connects Joseph’s previous experience with his brothers with his future experience with Pharaoh. Joseph’s life is marked with key experiences around dreams. The other connection with his previous story is his description of jail as a pit and the fact that he had been thrown into a pit by his brothers. In the middle of the passage Joseph acknowledges that God is the God of dreams. God can tell us the meaning of dreams if they are need of interpretation. What struck me the most about the text was that Joseph appeals to the people who he has helped to help him. We, like Joseph himself, long for his release because we know that he is held unjustly. However, at the end of the pericope we are left with the sadness of Joseph being overlooked. The narrative fits well in the total story of Joseph. It shows how God is using the gifts that he has given Joseph. Joseph is giving glory to God. However, Joseph is still neglected by those around him. He is still overlooked despite his grace in helping the baker and the cup-bearer and the skills to be of use to those outside. Is Joseph being shaped by his disappointment? The text doesn’t tell us. Is he depressed in jail, like the portrayal of Joseph in Joseph and the Technicolored Dreamcoat? Again, we can guess, but our guesses are not the emphasis of the text. The text seems to emphasize a pause in God’s timing. God equips Joseph to do his will, but he does not relieve his circumstances. The event is linked to what has gone before and what will come after because it is a stepping stone on the way. The time for the story’s climax has not yet arrived. In these kind of circumstances we need to be faithful and patient. Joseph’s story is a complete story of a lifetime, but it is not the whole story. God is birthing a nation that will bring salvation. He is going to make the children of Israel his witnesses in the land of Egypt and Joseph is God’s agent. 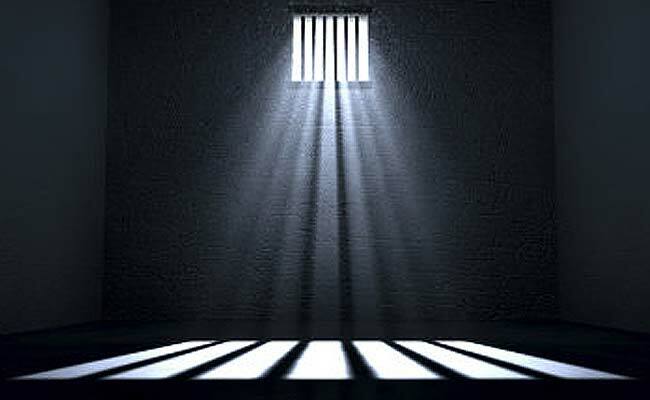 How would we react if God’s plan involved having us serve faithfully in a prison? In our impatient age, being restrained in a holding cell could only be seen as a great evil. However, in the cells of Communist Romania Richard Wurmbrand forged a testimony that gave a voice to the martyrs. In the cells of Communist China the testimony of a woman who gave her daily ration to those less fortunate is still powerful. In the waiting places great acts of God transpire. If we spend our time pining for the past or longing for the future we will miss what God is doing in the present.